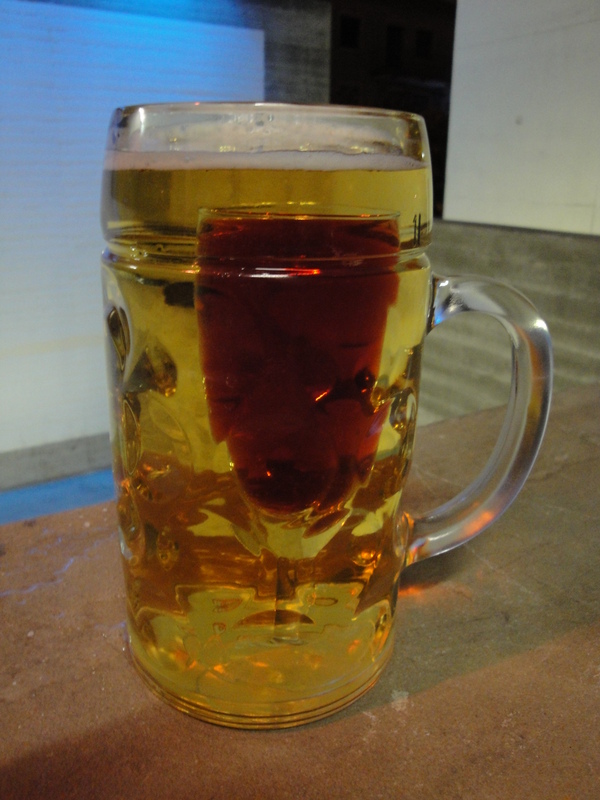 Yesterday I was out drinking with couple of friends and we tried out a traditional drink of Darmstadt, the “Laternchen”. We were inspired that the height of the inner and outer glass was mostly the same. So traditionally I wanted to try it out in Houdini and see if I could the same effect there. As my hangover was starting to perish it was getting clear of all the challenges I would run into. Multiple solvers, extremely high resolution for accurate collisions etc. So I wanted to tackle each challenge after another. I was using a point cloud method to interpolate between the points colors. I did not want the colors to interpolate right at the start since there were only the two streams dropping. If I could do it again, I would do it by particle age instead. I am not sure why the cup is not filling up anymore after x frames, but I think it has to do with the reseeding. I am going to look into that the next time. Also John Crief told me that I can find another method of fluid mixing in one of Jeff Wagner’s talks. So I am going to try out that method as well to compare the two. Also I set up the shading and lighting, but my PC did not want to render tonight so I guess we will have to be satisfied with couple of flipbooks.